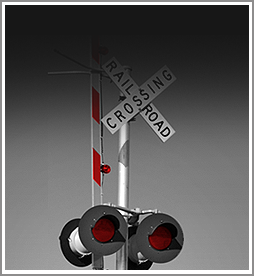 For FELA railroad injuries that occur on the job as a traumatic accident, there is a three year statute of limitations. This means that you have three years to file a claim from the date of a traumatic injury. If a lawsuit is filed in your behalf by a lawyer within the three years, then the amount of time that you have extends with the law suit. If the time limit is running close on your claim, then you need to call an experienced FELA railroad injury lawyer such as the law firm of Wilson & Hajek, in order that suit may be filed and your time limit on your claim will not expire. For those injuries that are disease related or occupational injuries, the statute of limitation generally begins to run at the time when you became aware that the problems that you are having, such as cancer, carpal tunnel, hearing loss, or other such injuries, first became known to you. This time may be extended not only from the time that it became known to you but also from the time that you knew it was job related. This information can often come from your doctor relating the injuries you suffered to the work duties that you performed with the railroad. From the date that you gain that knowledge, you then have three years to file a claim. The same rules then apply as for a traumatic injury. Once a suit is filed, you can extend beyond the three years until the completion of the suit. Again, if the time limit is running close on your claim, then you need to call an experienced FELA railroad injury lawyer at the law firm of Wilson & Hajek to file a claim on your behalf.